As much as the Utah Film Center has served as a major Intermountain West cultural institution of exhibition for independent cinema, especially in documentary storytelling, it also has cultivated its function as a strategic touchstone essential for augmenting the creative filmmaking sector of the state’s film industry. Today, the center announced a major new piece of creative infrastructure for Utah’s $100 million filmmaking industry, as it has acquired the assets of Avrec Art House to open the Utah Film Center Artist Foundry in downtown Salt Lake City (320 South 300 East). The Artist Foundry will provide production and collaborative work space for independent filmmakers as well as workshops in directing, screenwriting, acting, funding and project pitching. The center also will offer the production assistant certification in collaboration with the Utah Film Commission. Utah’s film industry has expanded significantly in the last few years, as the state has become more desirable for production locations along with attractive financial incentives and, more importantly, direct access to talented and professionally trained field production crew members who can be called upon for work on films and television series. In the most recent years, the Utah Film Commission reported that on average 24 productions have received film incentives to shoot in the state and the number of reported film permits across the state nearly doubled from 356 in 2016 to 602 in 2017. While the state’s reputation as a service provider for the film industry is well established, Patrick Hubley, Utah Film Center’s director of programming, says the Artist Foundry will nourish and grow the creative side of the industry as independent Utah-based filmmakers look to put their own mark on the canon of independent cinema. And, while Utah’s documentary filmmaking record has scored numerous successes, especially at the Sundance Film Festival and in the international festival circuit, the Artist Foundry is poised to give a creative boost in bringing quality fictional narratives to the screen. 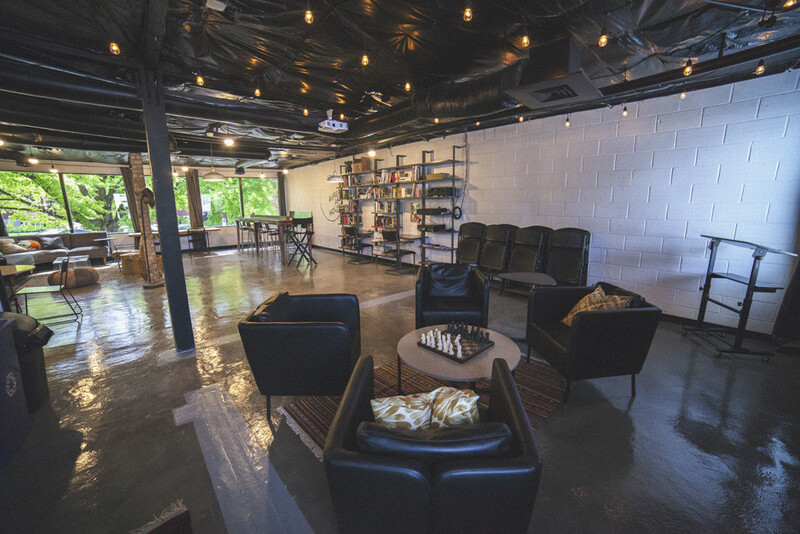 The Avrec Art House, which had described itself as a hackerspace for filmmakers, has proven useful to many independent directors and producers in the last three years. One of the most prominent projects was the short film Say The Sins by Alexander Woods. The film came from a miniature script that actor Shawn Francis Saunders wrote for The Worst Thing I’ve Ever Done, which comprised six short plays by local writers and produced by the independent experimental Sackerson theatrical company. Woods was captivated by the play, which required an audience member to enter a space that resembled a Catholic confessional box, with a rosary in hand, and then ask the actor to “say the sins you remember.” The film adaptation premiered at an Avrec screening, showcasing work by filmmakers who had used the facilities to produce or finish their work. The film was an official selection at the Red Rock Film Festival and attracted the attention of the D.C. Shorts Film Festival. Say The Sins exemplifies the potential of what is achievable in the Artist Foundry, given that many filmmakers otherwise might not have access or support to resources including professional hardware and software for editing as well as networking for script development and consultation or casting. Dallin Cerva, a co-founder of Avrec, has been named manager of the Foundry. “Being able to team up with the Utah Film Center and enjoy its advantages of longevity and its access to resources of all kinds adds a much more robust element to strengthening the local film culture,” Cerva says. The Utah Film Center has a strong record in supporting films in progress. In its fiscal sponsorship program, the Utah Film Center set a record this year with eight films making it into the 2018 Sundance Film Festival. The list included seven documentaries and the outstanding fictional narrative We The Animals, directed by Jeremiah Zagar and based on the Justin Torres novel. That film won the Next Innovator Award at Sundance. As noted in a January article at The Utah Review, the fiscal sponsorship initiative aids independent filmmakers who face practical dilemmas when it comes to finding and identifying financial support for their creative efforts. 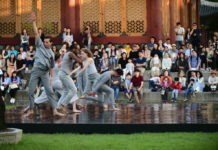 Many do not have the time nor resources to establish their own 501(c)(3) nonprofit entities, often a requirement when seeking grants from foundations or investors committed to supporting the arts. Independent filmmakers who are pursuing non-commercial projects can become eligible to use the Utah Film Center’s nonprofit status, for example, in pursuing their production efforts. The center has increased support to filmmakers and artists by more than 50 percent through its fiscal sponsorship program. The center has worked on more than 150 fiscal sponsorship projects – 40 just in 2017 alone – and the quality of film projects measures up to competitive standards at many international festivals beside Sundance. Likewise, the Artist Foundry resolves practical production issues and challenges for filmmakers who work independently, which defined the mission when Cerva and colleagues established the Avrec Art House. 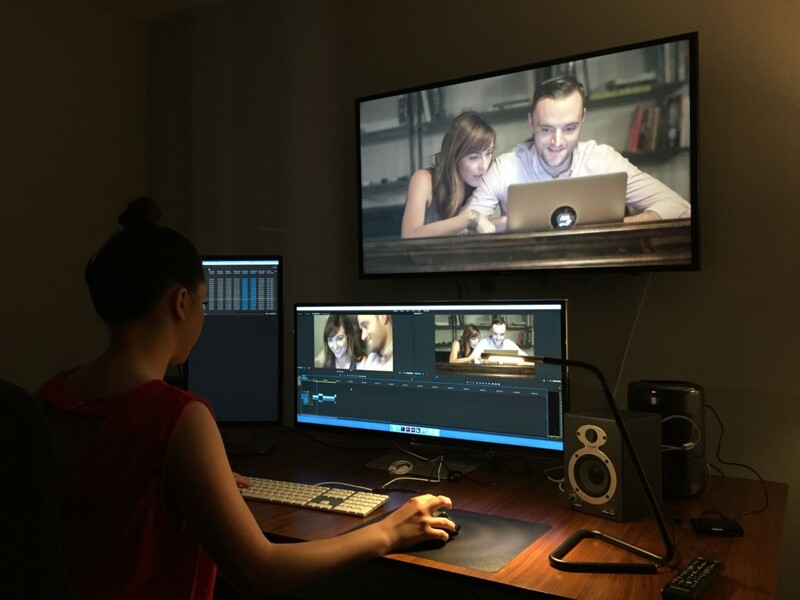 As Hubley explains, the Foundry and the fiscal sponsorship program “are two sides of the same coin.” The Foundry helps filmmakers connect with the industry in all phases of the creative process from greenlighting to final editing and other post-production tasks. Cerva says in addition to projects such as Woods’ short film, others are pursuing various formats and genres, including feature-length films and episodes for web-based series. The Foundry serves the spectrum of filmmaking experience. It can start from the novice who has a solid story idea but no prior knowledge about gathering the resources to translate it to the cinematic screen. And, it can bring into the fold experienced award-winning Utah filmmakers such as Tyler Measom, who is widely recognized for the feature-length documentary Sons of Perdition (2010), about children in polygamist Mormon families, and An Honest Liar (2014), about the magician James ‘The Amazing’ Randi. 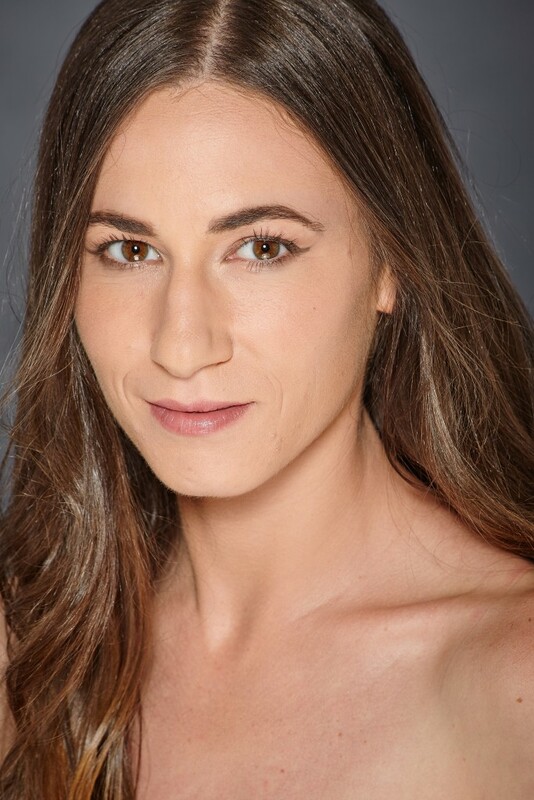 Measom’s latest projects include executive producer credit for the short Cosmic Debris and two other feature-length documentaries in progress. Cerva cites Measom who explains the centralized presence of what is now known as The Artist Foundry gives a preferred option to filmmakers who often have had to rely on coffee shops and other locations to develop and set logistics for their productions. 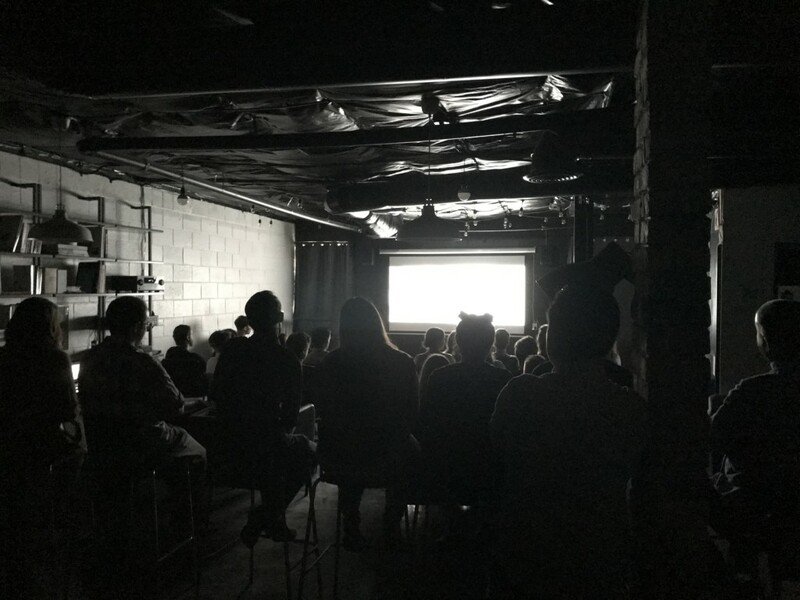 The Artist Foundry currently has 40 full-time resident members who can access resources that sustain the momentum of the filmmaking process so that directors and producers can finish their work in time for submission to film festivals and consideration for acquisition and distribution. It offers public and private editing bays, a screening room, rehearsal space and a flexible multi-purpose conference room. Hubley says supporting paid membership levels also are available to members interested in backing the local film industry. On Friday, Sept. 21, as part of the monthly Gallery Stroll from 6 p.m. to 9 p.m., the Artist Foundry will be open to the public for tours, short film programs and informal discussions with current members.